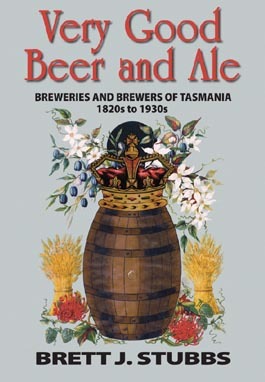 Commercial breweries were first established in Tasmania within twenty years of British settlement. By the end of the 1820s, five were at work in Hobart alone, and all were said to be making ‘very good beer and ale’. In the decades that followed, dozens of breweries were established in Hobart, Launceston and most other towns throughout the island. The history of these breweries during the very busy century-or-so of geographical expansion and subsequent consolidation from the 1820s until the 1930s is told in this book.